Today at Gamescom, Blizzard has revealed several brand new entrants into the world of Heroes of the Storm. With three new Heroes and a Battleground, there's a lot to look forward to. The leader of the Protoss will be the first Warrior from the StarCraft universe, and Blizzard promises he will be a heavy hitter. 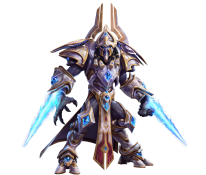 Other than knowing he is a melee combatant, no real details have yet been given on how Artanis will be taking on his foes in the Nexus. Our second Diablo-themed Battleground, this one will feature three lanes, as well as three shrines that gather power. Once a team activates a shrine and defeats its guardians, a Punisher will appear to push the lane closest to its shrine. 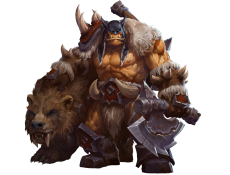 Punishers will spawn with either the Arcane, Frozen, or Mortar affix, and will hunt down enemy Heroes as well as push the lane.